For a bedroom makeover that's actually affordable! 1. A pineapple-print duvet cover set so you can relax in bed like you're on a tropical island. Get it on Amazon for $48.99 (available in twin or full/queen). 2. A no-frills microfiber sheet set to make your bed cozy night after night. Just make sure *not* to wash or dry them on hot: since these are made from polyester, that might make them pill faster. Promising review: "So these aren't high end sheets, but for the cost, they are well worth the buy. I own three sets of these sheets and they've all held up very well. Get them on Amazon for $13.99+ (available in twin-Cal king, including twin XL). 3. 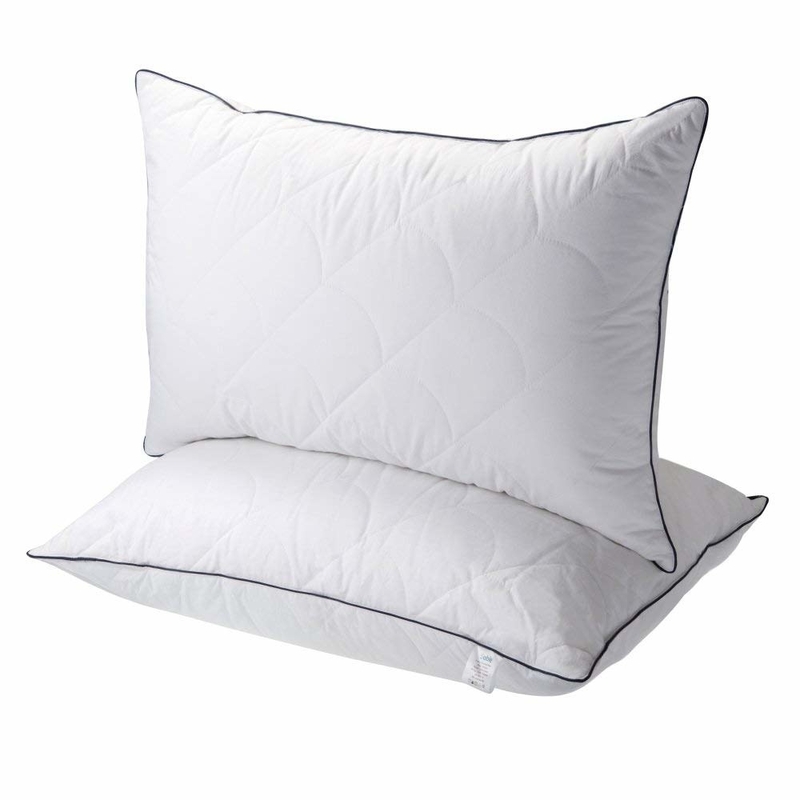 A hypoallergenic down-alternative duvet to snuggle under on Saturday mornings all year 'round. 4. 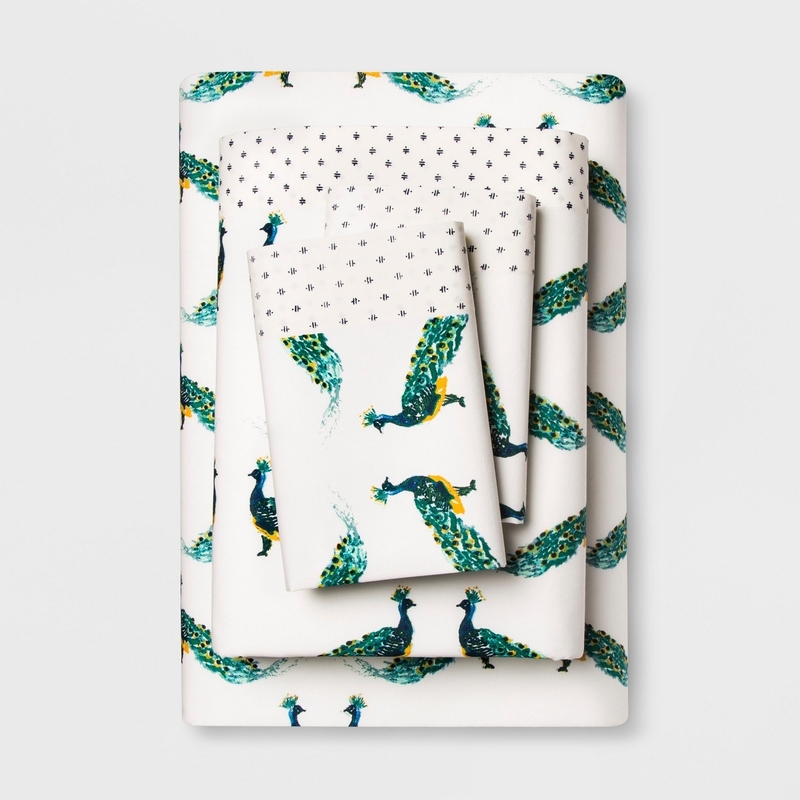 A bird-print duvet cover set that will make you want to sing along with joy every time you walk into your room and see it. Get it on Amazon for $48.99 (available in twin or queen). 5. A bright and boho duvet cover set perfect for anyone who wants more color in their life. Get it on Amazon for $21.95+ (available in twin, king, and queen). 6. 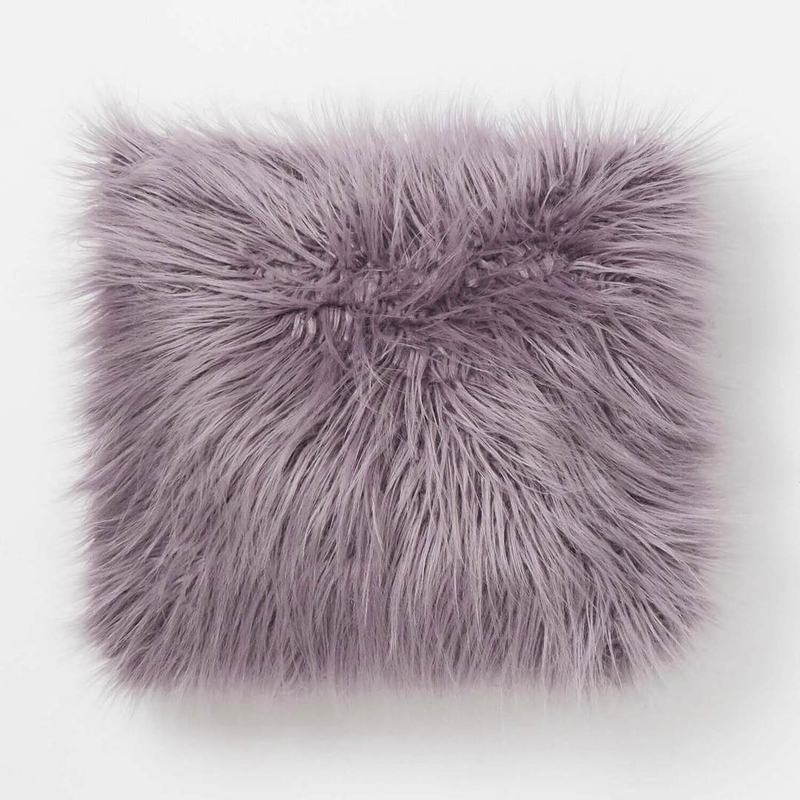 A faux-fur blanket that you basically won't be able to keep your hands off of because it's just. that. soft. Promising review: "I started off calling this the Jon Snow blanket because it reminded me of the fluffy cape he wears, but now my family and I refer to this amazing blanket simply as Jon Snow. My house knows no blanket except for the king of the blankets named Stark. Also be forewarned, if you have any direwolves they will immediately take over Jon Snow and he will no longer belong to you. My little direwolf did this the first day I got Jon Snow. I'm considering ordering a second one just for myself now. Get it on Amazon for $27.99+. 7. A botanical duvet cover set — it brings an elegant farmhouse-chic look to basically any bedroom. Get it on Amazon for $25.95 (available in queen and king). 8. A doodly duvet cover stamped with curious kitty-cats that'll make your heart swell with cuteness and delight. Who said grownups can't have a little fun with their home decor? Get it from Urban Outfitters for $69+ (available in twin/twin XL, full/queen, or king). 9. A simple solid quilt set you could use alone for a minimalist vibe or a layered with your duvet for an ultra-luxe look. Get it on Amazon for $43.99 (available in twin, full/queen, and king). 10. A set of 400-thread count 100% cotton sheets, if you, like me, find polyester sheets just way way too hot to sleep in most of the time. 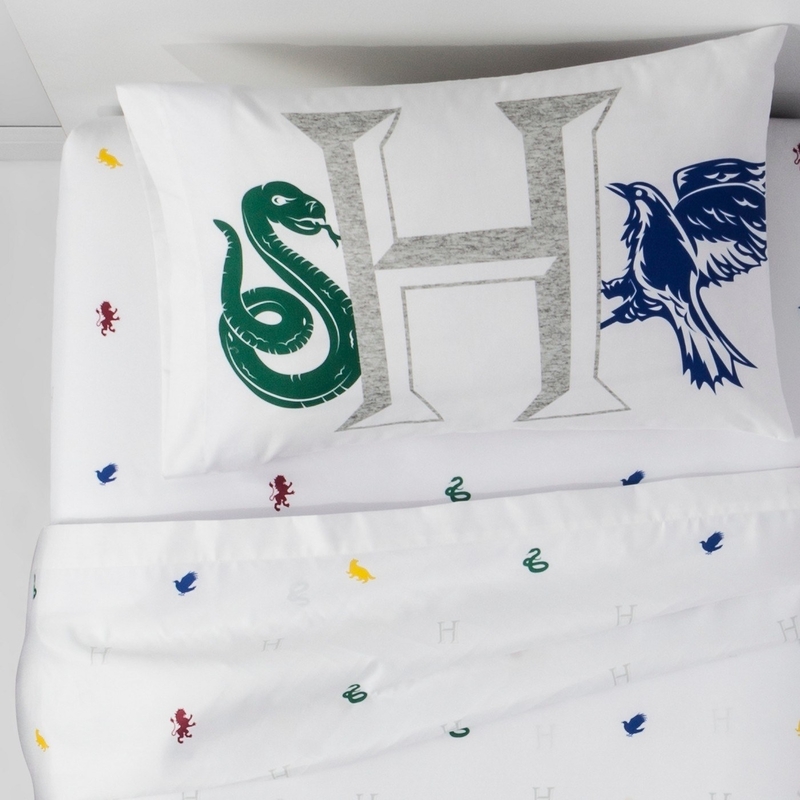 You get a full set: top sheet, bottom sheet, and two pillowcases. Promising review: "I cannot sleep comfortably without 100% cotton sheets and these have been wonderful. They are great quality especially considering how inexpensive they are. I got the blue and it's still vibrant and bright after two washes, and I have no complaints. Get them on Amazon for $40.99+ (available in twin, full, queen, and king). 11. An elegant and traditional-ish cotton quilt set designed to last (and be washable!) for many years. Promising review: "A lovely blue that coordinates with a variety of colors. The weight is perfect for year-round use. I add an electric blanket for winter. I’ve owned this type of Laura Ashley covering in the past and they hold up for *years*. These 100% cotton covers are workhorses! I wash mine monthly in a household machine. They just get better with age. Yes, you’ll have some fading. It’s cotton. But the quilting is so closely done that there is NO batting shift or clumps. Get it on Amazon for $79.43+ (available in twin, full/queen, and king); also available in sage green for $53.44+. 12. A silk pillowcase — it can do wonders to reduce how frizzy your hair looks in the morning and generally just make you feel like royalty. Get it on Amazon for $22.99+. 13. A duvet cover covered in flowers you can always enjoy whether or not you happen to have a green thumb. Get it from Urban Outfitters for $89+ (available in twin/twin XL or full/queen). 14. An incredibly soft microfiber velvet throw to drape around your shoulders while reading before bed, because sometimes you get chilly but don't want to put down your book. 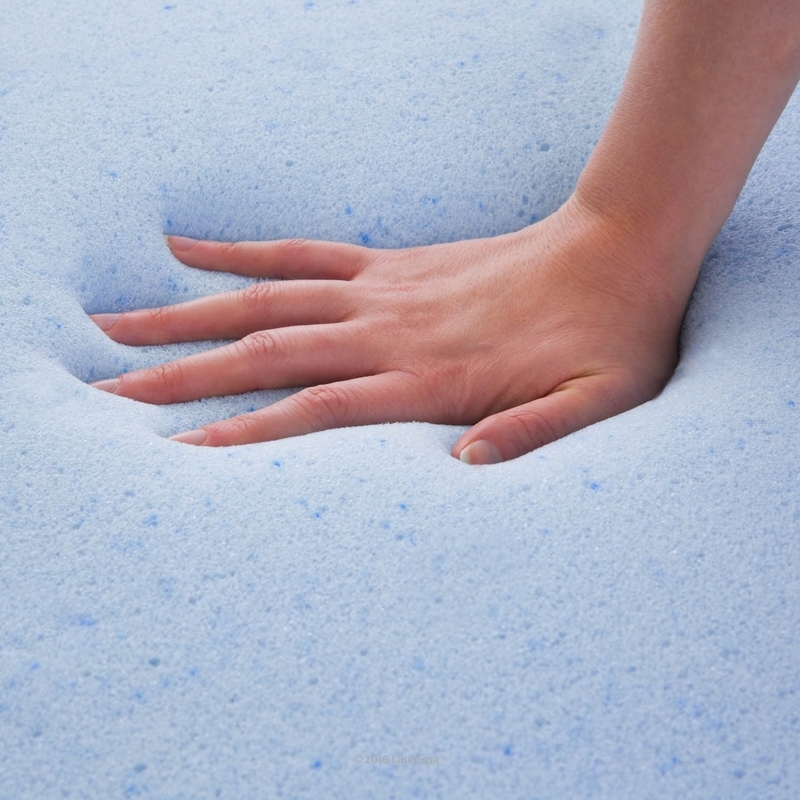 Promising review: "If you're shopping for softness, I honestly can't imagine finding a softer blanket out there. Neither can the cat, apparently; it was out of the package for all of two and a half seconds before his eyes got big and he was pressing himself into it, aiming for maximum surface area contact, curling his toes up and everything. I thought he was going to pass out from the rapture. Honestly, I can't imagine a better testimonial than that." —M. 15. A set of two machine-washable fiber-fill pillows that let you add or remove stuffing to fine-tune the firmness you prefer. That said, if you want *firmer* pillows than these, they don't come with any extra stuffing. Get them on Amazon for $39.99. 16. 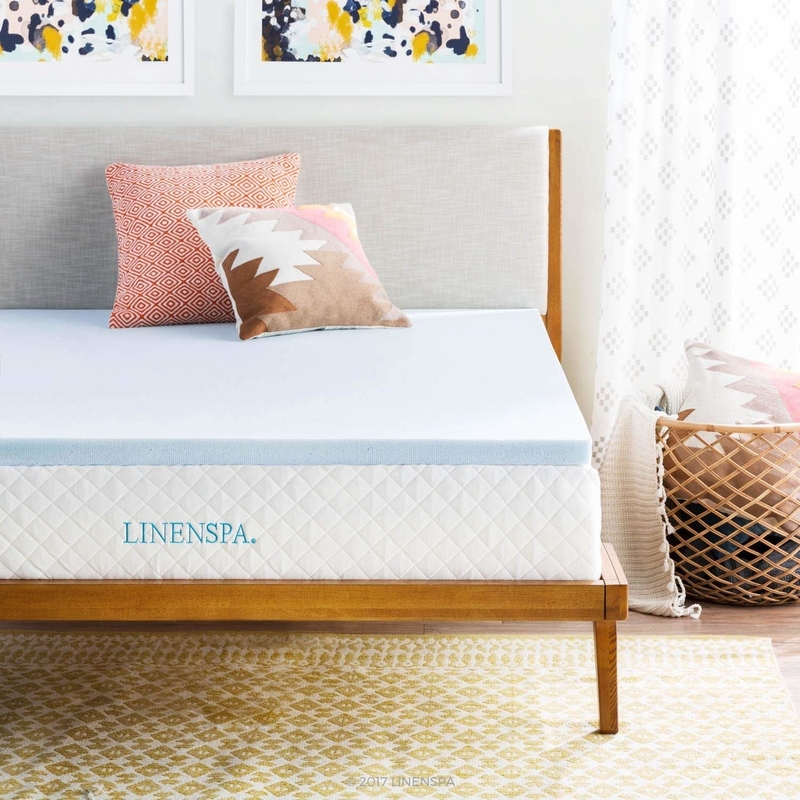 A two-inch memory foam mattress topper — it's the easiest way to upgrade a bed that's too firm so you can actually get a decent night's sleep. Get it on Amazon for $39.99+. 17. A cable-knit blanket with a soft and fluffy lining that's best appreciated with low light and a cup of your favorite evening tea. Get it on Amazon for $27.63. 18. A set of tie-dye sheets made of cotton jersey, so it feels just like slipping into your favorite soft t-shirt every time you climb into bed. Get them from Dormify for $69 (available in twin XL, full, and queen). 19. A fuzzy throw pillow to add a touch of whimsical glam to almost any bed setup. Maybe it'll even inspire you to make up your bed in the morning, because it's just so fun to style! Get it on Dormify for $36 (six colors). 20. 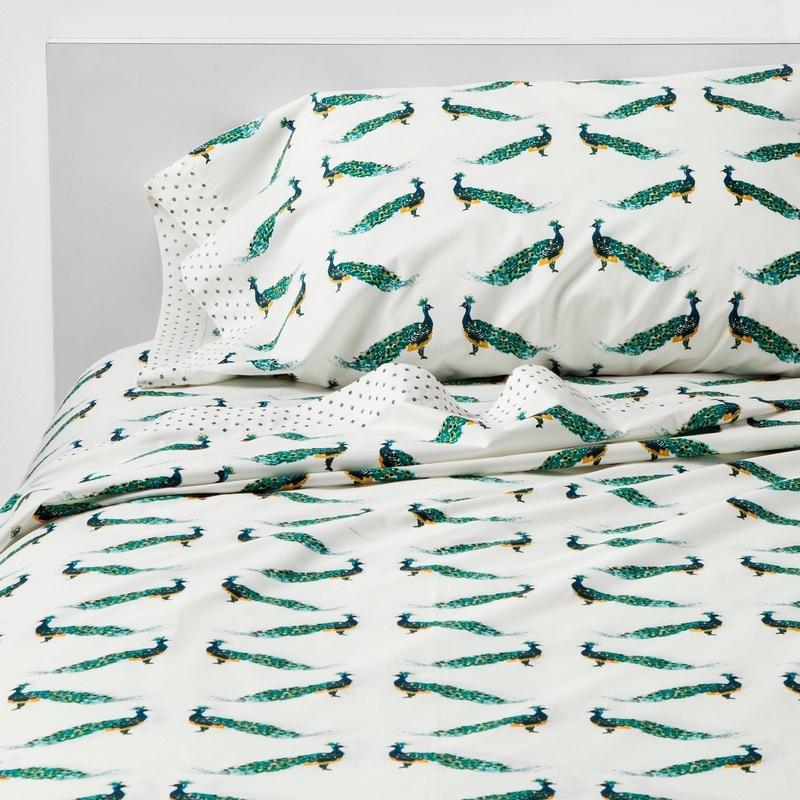 A wave-print duvet cover set that reverses to — dunn dunn, dunn dunn — SHARKS! — who will keep you safe from any monsters lurking under your bed. Get it on Amazon for $25.99+ (size queen; other patterns available in queen or king). 21. 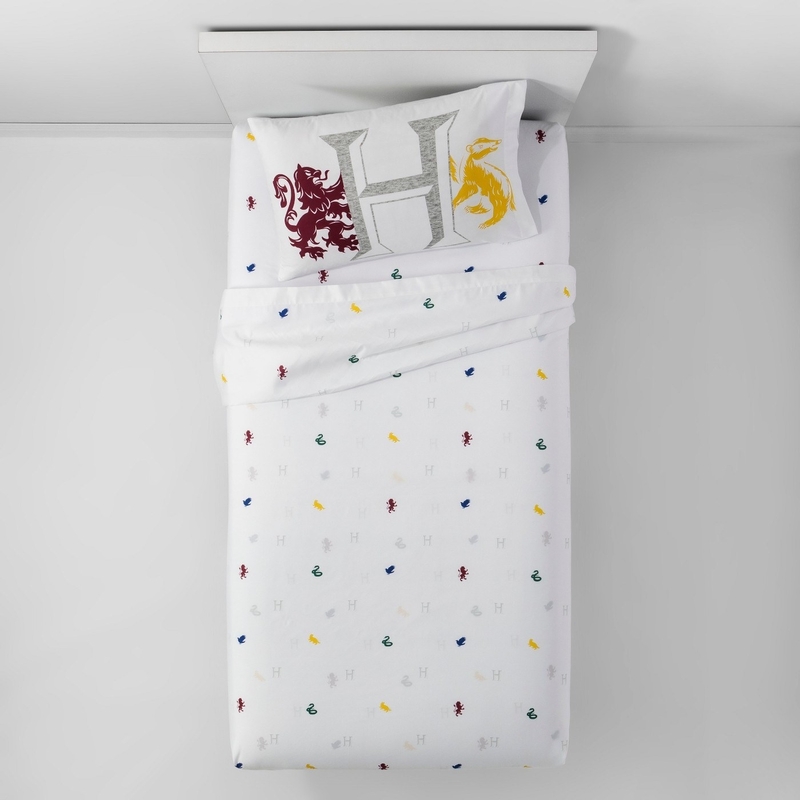 A set of Harry Potter sheets inclusive of every House, because some nights you're feeling like a Ravenclaw and other nights your Hufflepuff side's showing. Get them from Target for $21.99+ (available in twin, full, and queen sizes). 22. A glamorous striped duvet cover set so your bed always looks like it's dressed to impress. 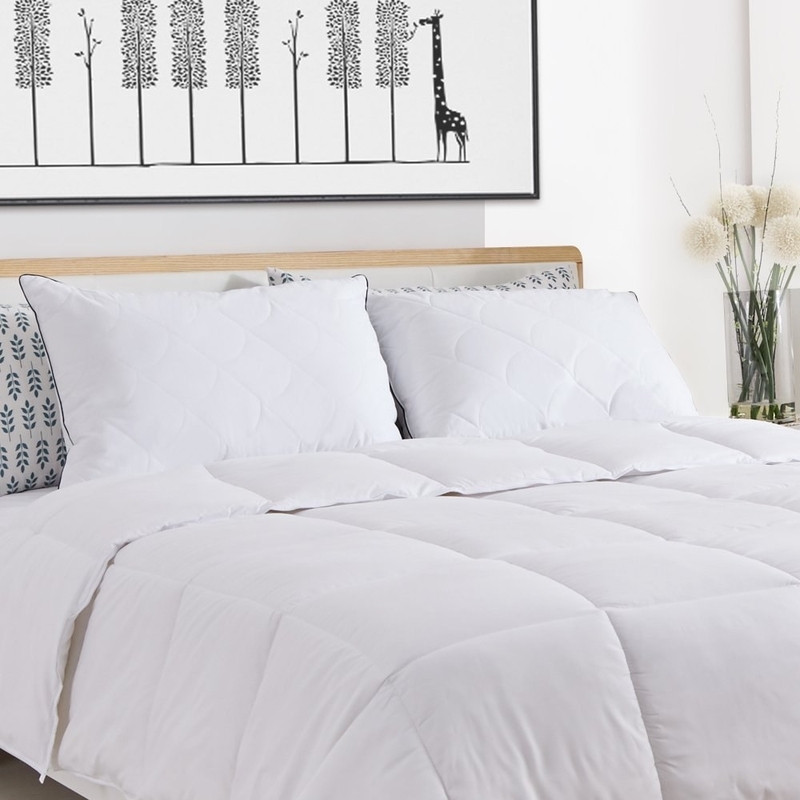 Promising review: "This duvet cover was EXACTLY what I was looking for! The duvet is super easy to put over a blanket or comforter and closes with clear buttons that are inconspicuous. There are wider black and white stripes on one side and smaller stripes on the other so you can reverse as desired. I like the wide stripes and love the way my master bedroom looks with this set! It is pretty soft and comfortable but not too hot so it's perfect for warmer weather months." —Lindsay S.
Get it on Amazon for $22.09+ (available in queen or king). 23. A set of two velvet throw pillow covers that come in 24 different colors so you're sure to find ones that match your decor. Get them on Amazon for $11.99+ (24 colors, 16"x16", 18"x18", or 20"x20" available, plus additional single sizes). 24. 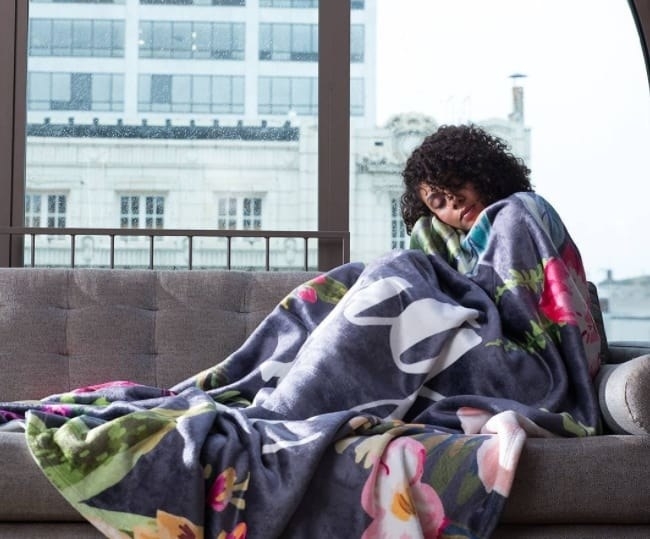 An artist-designed throw blanket that's an uncanny match for your personality and style, because there are so many options available. You can get all kinds of beautiful, funny, perfect things printed on a throw blanket at Society6, for $49.99+. 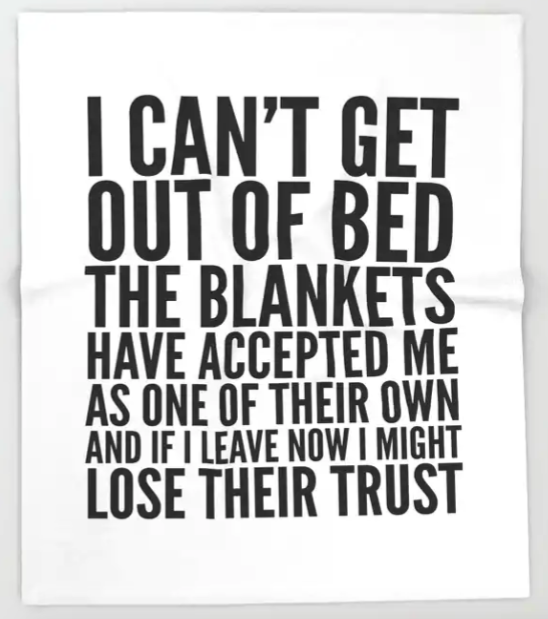 Get the "I Can't Get Out of Bed" blanket from CreativeAngel on Society6 for $49.99+. 25. A set of perky percale peacock sheets to inject just the right amount of extra color into your life. "Percale" cotton is high-quality and should last wash after wash for years. Get them at Target for $26.99+ (available in twin-Cal king, including twin XL). 26. A triangle-print duvet cover set that's the perfect non-neutral neutral.